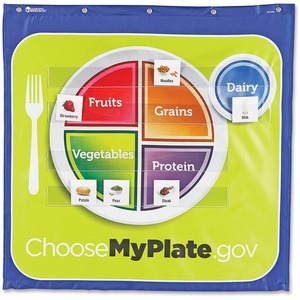 Pocket chart features a helpful design to teach children to build a healthy plate of food by choosing from the right food groups. Photo-illustrated food cards feature food groups on the reverse side to provide a quick way to self-check. Back storage pockets conveniently store and organize cards. Pocket chart is designed for children ages 4 and up.